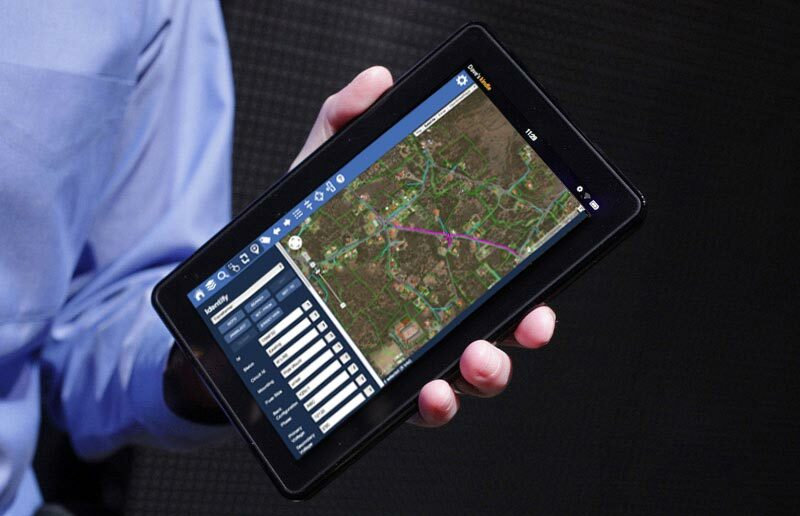 We are pleased to announce the release of Atlas v2, our enterprise product to use your GE Smallworld GIS data in real time in a web browser on your desktop or on a mobile device when you’re on the go. With the help of Silicon Valley software engineers, we redesigned portions of Atlas to improve performance and usability. First, we redesigned the UI to be more like an app and less like a webpage. It even works on IE :). Second, we wanted to improve database performance so your maps and data would load faster, but we reached the maximum potential of what an RDBMS can do. Oracle Spatial was OK, MySQL was a bit better but not where we wanted it to see. So we ditched the database altogether! This will also save your DBA a bunch of work. Essentially what we do is we index your Smallworld database in real time and keep it inside Atlas. For example finding 800 objects on the map in a Spatial RDBMS takes 620ms, we brought it down to 49ms. We also improved server to client performance (250%) and map rendering performance (310%). If that wasn’t enough, we can now store your data faster in the cloud than you can do with Oracle Spatial on your intranet. This reduces the latency between updating your data in Smallworld and this data being available in Atlas. The result is a super fast and easy user experience. I have a CIS, can I use my GIS data? Yes, our documented API allows for easy RESTful based integration with other systems. I have no internet connection where I need my maps. Now what? Do I need other software (middleware) to run Atlas? Nah, that will just add latency and cost. I need a data-model update in my GIS [Smallworld]. How will this affect Atlas? No problem, our indexing algorithm works schema-less. On top of that, our FastSYNC engine is super fast. Do you support internal worlds? Yes, it works for the web application, but we’re still working on that for Android. I have an Android phone. Can I see my Smallworld data? Yes, we have a native Android app. Also, Atlas is compatible with all modern desktop and mobile browsers. This includes iPad, iPhone and Android devices such as Kindle Fire, Galaxy Tablets and HTC and Samsung phones. It even works on IE. My device has a slow network connection? Is this a problem? We can optimize your app for either a slow connection / fast hardware or the opposite. If you have neither, we’ll buy you a couple of tablets. How much does Atlas cost? Can I make updates to my data? There are several ways of doing this, and we’re still talking to clients to figure out the best way for each of them. Need more info, want a demo or want to try it with YOUR data? We’ll be happy to explain what Atlas can do for your organization.